Finally, a true one-to-one LED replacement bulb for incandescent navigation lights with festoon bulbs. 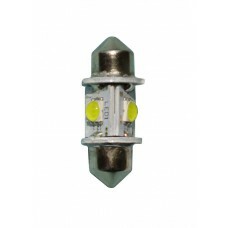 This short festoon LED bulb is specially designed as a direct replacement for many combination masthead & anchor lights. It works in many Perko lights such as series 1123, 1124, 1125, 1178, 1181, 1183, 1184, 1196, 1197, etc. This high-quality high-power LED bulb is the perfect way to reduce energy consumption on your boat with a current draw of only about 0.1A. 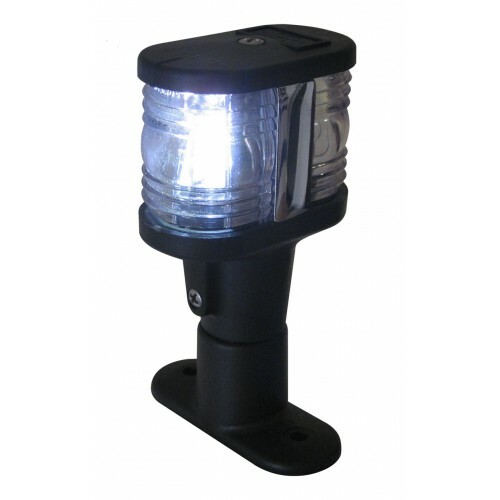 Its incredible reliability means an end to frequent climbs up the mast to replace navigation light bulbs. Replaces Perko bulb #0072DP0CLR and Ancor bulb #522129. Zero radio frequency (RF) emission, surface-mount-device design. Internal circuitry provides constant current draw regardless of voltage fluctuations from the source (10 to 18 VDC), meaning no flickering and longer LED life. Long service life, shockproof, and ultra-rugged w ith no filament to burn out or break. Very low pow er consumption (approximately 1 W). Lead and mercury free, no UV output.